Stage stairs connect to either 4' x 4' stage or 4' x 2' stage. Each tread is 8" high. Hand rails included. 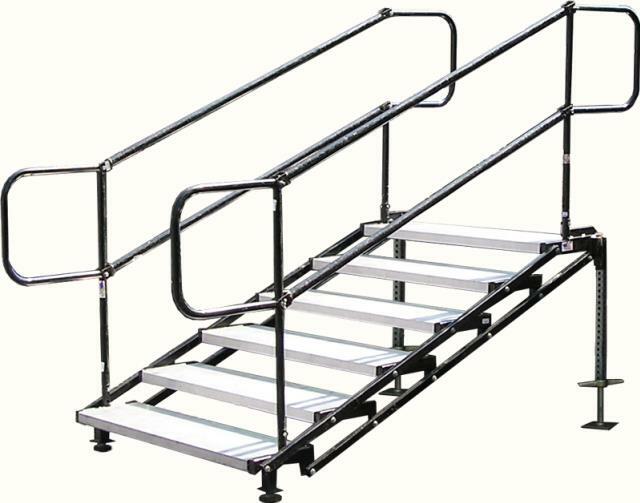 * Please call us with any questions you may have about our stairway stage per tread rentals/sales in State College, serving Central Pennsylvania.